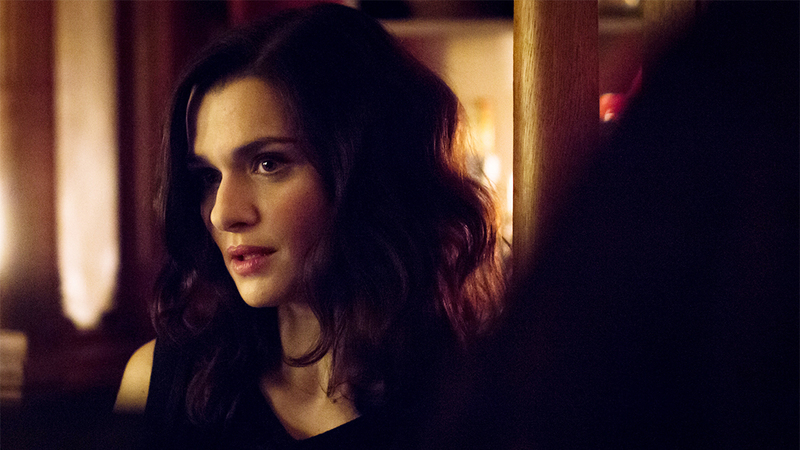 Complete Unknown introduces us to Alice (Rachel Weisz) who is the charming date of a gentleman attending the birthday party of his friend Tom (Michael Shannon). Tom is a married man who is dedicated to his work, so much that you can see the rift it is causing in his marriage. When he sees Alice he recognizes her from his past but with a different identity. Alice mesmerizes everyone at the dinner party with stories of her past lives and how she has continuously been able to reinvent herself. These tales are only more aggravating to Tom because he knows her real identity and these stories she is telling are not reflective of the person he knew 15 years ago. The movie takes you on a journey between Tom and Alice to discover what happened in their past together and how she has been able to live this life for so long. The premise of changing your identity and living multiple lives is absolutely intriguing. This is what makes the audience falls in love with Alice and wants to know more of how she made the choice to live this life. This also intrigues Tom to follow her to understand how this lifestyle works and what cause her to leave 15 years ago. Where the movie goes wrong is we never receive any real answers from either of the characters. These actors brilliantly portray their roles in this film, but there is no story for them to work with. This is where Complete Unknown falls flat. This movie had the potential to be great, but instead it took its title literally and left the audience feeling completely unknown to the purpose of this film. My recommendation is to WAIT on this film. I would not even recommend this film for RedBox. I would recommend this movie only if it came on TV and you had nothing else to do. For those brave souls who still want to see this film purchase your tickets now at Fandango. Complete Unknown hits theaters nationwide on September 9th. Have you seen Complete Unknown? Please let us know your thoughts below. Don’t forget to rate this movie below!